Just to let you know that (what some call) my birthday gig is happening in two weeks' time on 10th December at The Global Cafe. 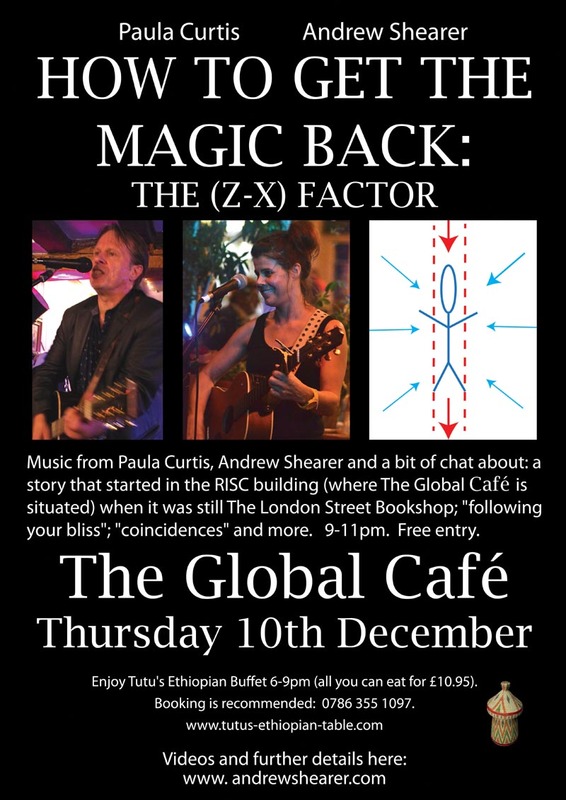 The evening is going to be a bit different this year and is called How To Get The Magic Back: The (Z-X) Factor. Just to allay any suspicions, the evening is not some clumsy way of trying to sell a new version of You've Got The Magic Back though I am going to talk about one of the ideas behind that song which is ostensibly: "Is it just chance when it feels like there are times when things fall into place and at others when it feels like we're swiming against the tide?" For me, in my life, I'm beginning to see a pattern which I've been exploring this year. 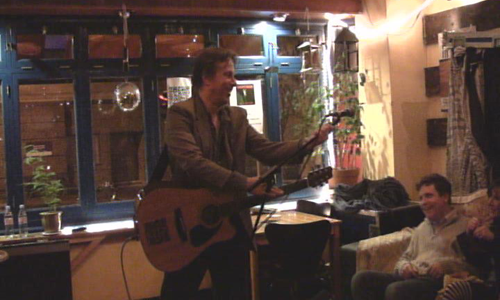 In addition to me also playing some of my songs and some covers, we've got Paula Curtis. If you've ever been to one of these gigs before you will remember how engaging, funny, cool and talented she is. And if that wasn't enough we've also got Tutu's Ethiopian Buffet (all you can eat between 6-9pm for £10.95 - booking is recommended: 0786 355 1097). The gig starts at 9pm. Free entry. You'll find a bit more information here.